The days of in-your-face advertising are over. Most consumers are tired of traditional advertising and sales tactics that scream “buy me now” or “look over here.” Instead, buyers are more attracted to authentic, transparent, and friendly marketing and advertising tactics. So, it’s no wonder that most B2B companies are turning to inbound content marketing to generate more leads and increase conversions. 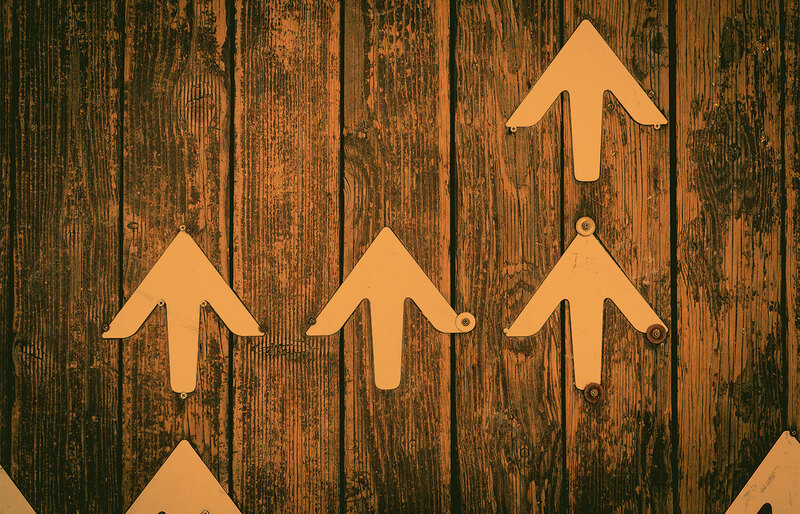 According to a study by Kapost in partnership with ELOQUA, compared to traditional paid advertising, content marketing produces far better ROI—not only does it have lower up-front costs but it provides deeper long-term benefits. In fact, it costs 62% less than outbound marketing and generates three times as many leads (DemandMetric). With stats like this it’s not a matter of if to implement content marketing, it’s a matter of how. More specifically, how can your company build and implement an effective content marketing strategy? A content strategy is essentially the reason why you are creating content—it is the high level vision that guides your organization’s future content development in order to achieve your business objectives. Content refers to any tangible media that you create and own. This can refer to written content such as blog posts or visual content such as YouTube videos, infographics, or images. Content covers everything from downloadable eBooks to social media posts, email messages, website landing pages, and more. A content strategy doesn’t have to be isolated to a specific channel or type of content. It should cover every aspect of your business as it refers to creating, publishing, and distributing content to your target audience. What problem will your content solve for your target audience/customer? What types of content are most valuable to your business and your customer? Which channels will you use? How will you manage creation and distribution of your content? Too often, companies only use B2B content marketing as a supplement to their paid marketing efforts. They see it as an addition to their PPC—a way to boost their efforts—but content marketing is more valuable than that. Content is a cost-effective, predictable, and scalable way to generate traffic and leads. For example, a well-written blog post can generate steady organic traffic while an embedded link to sign up to download an eBook in that blog post is a way to steadily generate leads. The key is creating the right type of content that drives value for your audience, and that takes a detailed strategy. The right strategy—broken down into objectives, metrics, audience, channels, and tactics—will allow you to align your content to both your business values and your audience’s values, so you get the biggest bang for your buck. What are you trying to accomplish through your content marketing strategy? Why are you doing it in the first place? This will decide what type of content you make, where you publish it, and what ROI you’ll achieve. Without goals and objectives, you’re just putting content out into the online universe and crossing your fingers in the hopes that it will be effective. The key to defining your objectives is to work from the top down. Focus on high-level objectives first—those areas that would have the most impact on your business—and then break those down into smaller goals. These objectives will also be the driving force behind how you measure B2B marketing ROI in order to determine the success of your efforts. Who am I trying to attract to my business? Where do these individuals find and consume content? For example, if you’re trying to reach CEOs, you’ll find more success sharing an article on LinkedIn than you would posting a story on Snapchat. What do their responsibilities include? What are your audience’s goals? What challenges does your audience face? 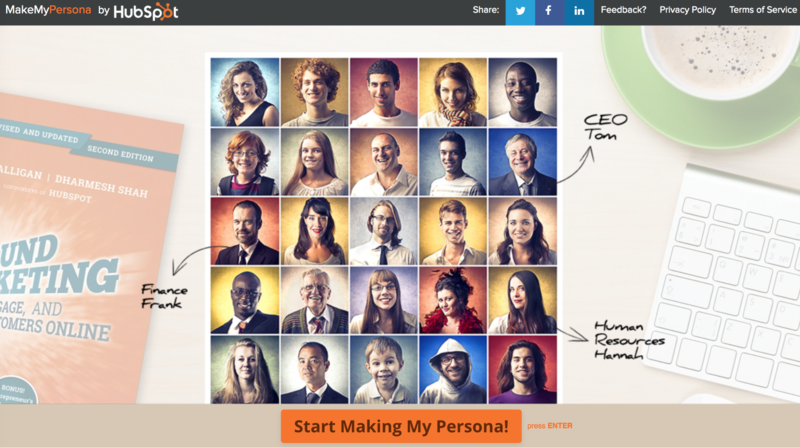 HubSpot’s buyer persona tool is a step-by-step wizard that makes this process easy. Once you have all this information and have created your buyer personas, you can start producing and distributing content that reaches your ideal audience. A content audit is the next important step to ensure that you’re creating and distributing the right content at the right time. It’s also a way to determine how your content is performing: what does well, if there are any blogs you can consolidate/redirect, what content can and should be removed, etc. A yearly content audit can help you review your current content marketing efforts and analyze your performance. This should give you a clearer picture of how your content is helping or hurting your ability to reach your business goals. To get started, request a KeyScout’s custom content audit today. Once you know which content performs well and which doesn’t, it’s time to start creating your new content. At this stage, you’ll need to determine what topics to write about and what types of content to create. You should refer back to your buyer personas as well as your business objectives to ensure you create the appropriate content. You might know that your target audience is comprised of sales executives who hang out on LinkedIn, but that doesn’t tell you what content to create. You’ll need to do some brainstorming to get inspiration for relevant topics. Writing content that follows SEO writing guidelines around a relevant keyword or key phrase is a great way to reach your target audience while improving your SEO. 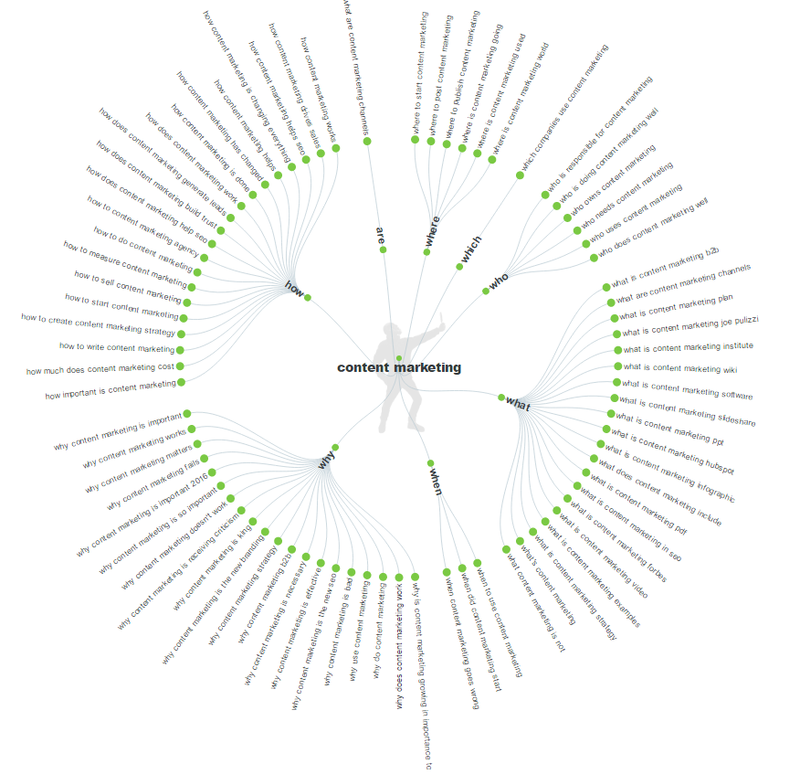 For help determining appropriate keywords, there are quite a few tools you can use. 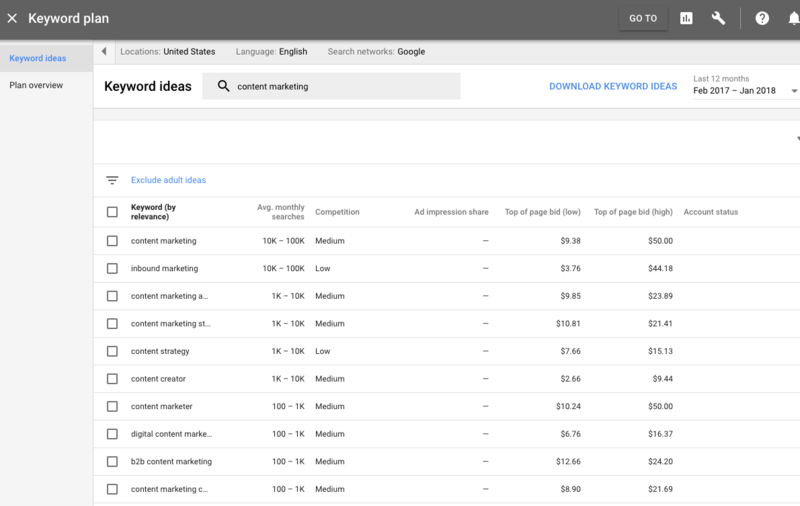 Google’s Keyword Planner lets you enter words, phrases, or URLs related to your business and then provides you with a list of ideas, which includes the average monthly searches, competition, and recommended bid. Another option is to use SERPS Keyword Research Database, which provides you with similar data and information. Awareness: The point where a buyer researches a pain point or challenge. Consideration: The point when a buyer understands the pain point and is now researching solutions. Decision: The point when a buyer narrows down the options of solutions and makes a final choice. Depending on where a buyer is in the sales funnel, different types of content will be appropriate. For example, a buyer in the awareness stage would most appreciate content that provides real value about how to solve a problem in the form of ebooks or guides. Whereas during the decision stage, you would want to provide content focused on demonstrating how your company offers the best solution to solve the problem in the form of free trials, demos or consultations. Another great way to brainstorm topic ideas is to ask yourself, “What are my competitors writing about?” Go to your top competitor’s websites and check out their blogs. Go onto LinkedIn, Facebook, and Twitter to see what the biggest influencers and thought leaders in your industry are talking about. Find out what performs well, what drives engagement, etc. Quora is a great place to do some digging. It can give you immediate insight into your audience’s most pressing problems. You can also check out Google Trends to see what topics are getting the most attention. Another way of creating content is through topic clusters. A topic cluster is an SEO strategy that focuses on topics instead of keywords. You start with a general topic to create a long-form piece of content that broadly defines the topic. This long-form content will be your pillar content item. Then, you create a cluster of topics focused on specific long-tailed keywords related to the general topic. The key is to link to the pillar content item from each cluster content page. In this way, when the pillar content does well in the SERPs, it brings all of the cluster content up with it. A great way to figure out your topic clusters is to use the Answer the Public tool. This tool fetches Google search query suggestions and offers hundreds of ideas to help you quickly generate topic ideas and matching keywords. It is also important to remember to include external content and guest posting in your content creation strategy. These are great ways to get your content in front of new audiences, strengthen your online reputation, and build links. A tool that can help you with creating external content is JustReachOut, which helps you attract and pitch to journalists. You can also use GuestPost.com to help find places that will accept guest posts. Influencer outreach is also an effective tactic. It helps your company exchange value with industry leaders while also increasing your awareness. It’s a way of sending your content directly to thought leaders with a focus on helping others and bringing value to the relationship. A couple of great tools to help you with this process are Hunter and Contact Out, which help you find email addresses for top influencers in your industry. Once you have your content, it’s important to deliver it correctly. This is where a content calendar plays a huge role. A content calendar helps you plan and organize your upcoming content to ensure that you cover all of your topics and channels and that you send out the right quantity of content on a regular basis. This calendar should not only explain what you’ll be publishing, but when it will be published, the keyword you'll use, how you’ll promote it, when it’s due, who the audience is, the CTA, and even how you’ll follow up. HubSpot offers a few editorial calendar templates that you can use as a starting point for your own content calendar. There’s even a specific social media content calendar template. CoSchedule is another content calendar tool that helps you see your entire marketing schedule at a glance. When it comes to promoting content, social media can be one of your most valuable tools. It’s an easy way to help ensure that your blog reaches a wider audience. Curata is a great tool for this. It can help you discover great content, organize it, and publish it on the social media sites that are most valuable to you. 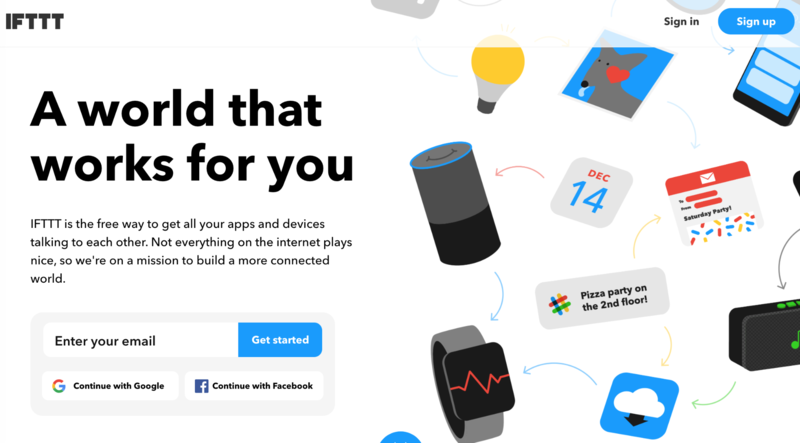 You can also use IFTTT, which lets you create a recipe that dictates “if ‘this’ happens, ‘that should happen.’” For example, if I write a blog, that blog should automatically post to Twitter and LinkedIn. Facebook Advertising: Place ads on the news feed of your target audience. AdWords: PPC on Google search and across the web on Google websites. LinkedIn: Reach your audience with ads on the LinkedIn website. Outbrain: Capture your audience’s attention across the web. Email is one of the most valuable marketing channels. In fact, after word of mouth and recommendations from industry thought leaders, email is the 3rd most influential source of information for B2B audiences. Identify specific goals for your subscribers as a result of reading your email. Will this email help them work more efficiently? Identify the exact number of content pieces your subscribers need to consume before being ready to purchase. Begin with building a relationship with your subscribers before trying to sell to them. Don’t send general blanket emails that generalize your entire list. Instead, send personalized email offerings that are valuable to your target audience and relevant to where they are in the buyer journey. 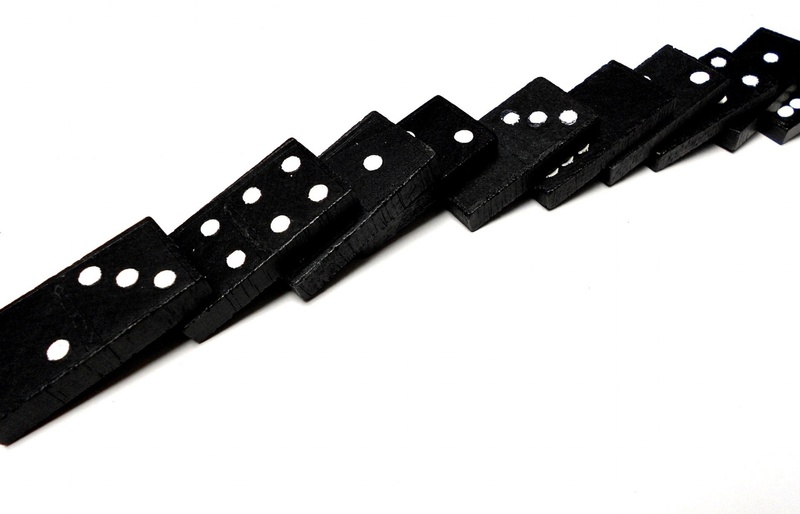 Finally, no content marketing strategy is complete without a way to measure success. This data is invaluable for showing you if and how you’re best reaching your audience and what type of content is most successful at generating conversions, creating leads, etc. There are many key metrics that you’ll want to track depending on where the content is located and what your overall objectives are. Page Views: Check the page views for key landing pages. 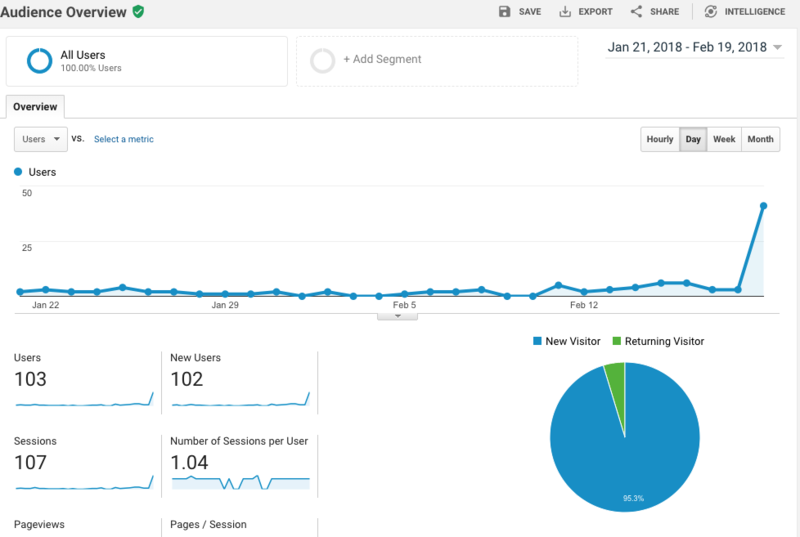 Unique Visitors: How many individuals have visited your website or specific landing page. Demographics: Who is visiting your site: age, gender, general interests, etc. Average Time on Page: This tells you how engaged your website visitors are with your content. Bounce Rate: This tells you the percentage of visitors who come to your website, view one page, and then leave. Acquisition: How do users find your website: organic, referral, social, adwords, campaigns, etc. Shares: How many people find your content valuable enough to share with their network. Followers: How many people follow your social media accounts and potentially view your content. Comments: How engaging is your content and are your topics something that your audience is interested in? Marketing Qualified Leads (MQLs): How many MQLs does your content bring in? MQLs per Channel: Which channels bring in the most MQLs? MQL to SQL: The conversion rate for customers going from an MQL to an SQL. Email Open Rates: The number of people who opened your emails. MailChimp is a helpful tool for this. Click Through Rates: The percentage of your audience that clicked on a link and followed through on a call-to-action. 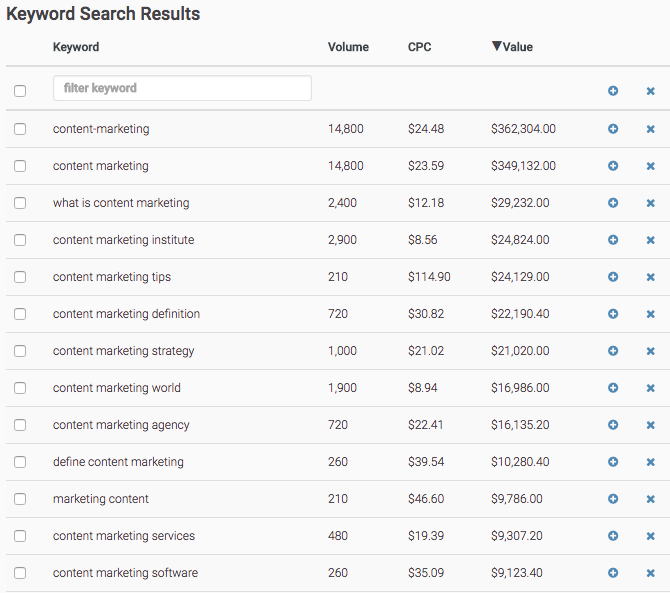 You can also use HubSpot to gather and analyze all of this data in one, central place. Developing a solid content marketing strategy is not something that happens overnight. It’s a long process that requires careful thought and review to ensure that you get the results that you want. It all starts with recognizing that you need a content strategy and building from there. If you need help designing your company’s content strategy, contact KeyScouts today. We have vast experience developing content marketing strategies, and we can help you reach your core business goals.